What are the rooms like on a ferry? Unsure what cabin to book on your next ferry trip? Here are your options. The rooms on-board each mini cruise ferry are well equipped and are to the same standard you would expect in a good hotel. 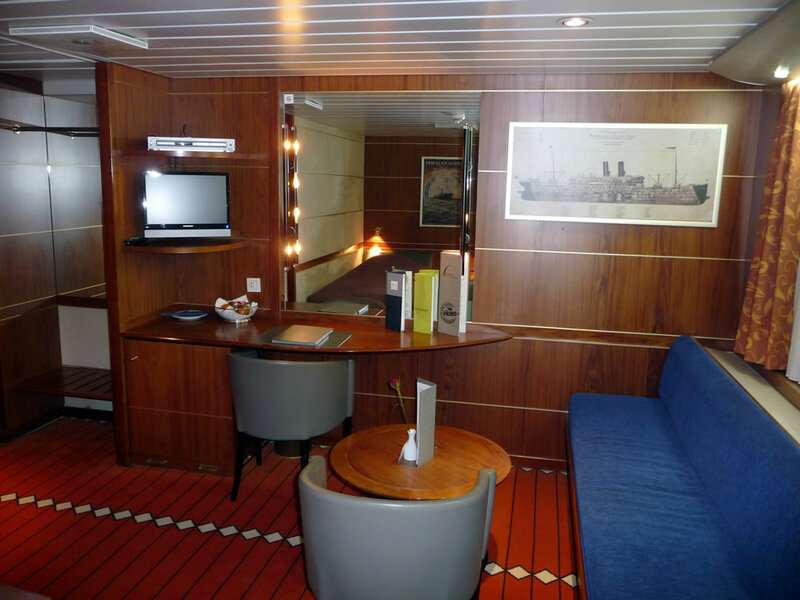 Each ferry line has their own range of rooms but they generally include a standard range, a premium range and a luxury range of cabins. These cabins are the most affordable type of room and are very popular amongst the budget conscious. They generally feature facilities such as bunk beds, en-suite shower and toilet and a desk. Depending upon your budget, some standard cabins can also offer a sea-view. These cabins generally extend upon the standard accommodation range and typically offer tea and coffee making facilities, a TV and a telephone in addition to the bunk beds, en-suite shower and toilet and a desk. Bunk beds may not suit you and so if this is the case, consider the finest range of cabins available. Generally referred to as "Commodore Class" or "Captain Class", these double bed cabins feature everything you would expect in a top hotel. A comfy double bed awaits you as does en-suite facilities TV, DVD player, a mini-bar, a desk and a fruit basket in addition to WiFi internet access. Not all ferry lines offer exactly the same standard of accommodation although this guide is based on the majority of lines offered below. Check with each ferry operator online to see exactly what to expect with each grade of accommodation.